The research will give a better understanding of how patients respond to a combination of treatments and will hopefully make lung cancer controllable in the future. AS PART OF Lung Cancer Awareness Month, a new research will be presented today that aims to predict which types of lung cancer patients will benefit most from new drugs, as well as which treatments are used most successfully in combination. The research, which is funded by the Irish Cancer Society, investigates the role of genetic mutations in response to various lung cancer treatment strategies. The study, led by Susan Heavey, PhD student in the Thoracic Oncology Research Group at St James’s Hospital, will be presented today at the British Thoracic Oncology Group Conference in Dublin, which will be attended by over 600 medical professionals. The study shows that cell lines with particular mutations respond differently than others to combination treatment strategies. The frequency of these mutations is currently being tested in a cohort of 120 lung cancer patients from St James’s Hospital. Ms Heavey’s study looks at genes called ‘P13Ks’, which play a key role in the control of cell growth, and the role these genes play in lung cancer. It also looks at how P13K genes communicate with other genes involved in growth and how the cells behave if one or more of them are inhibited through drug intervention. 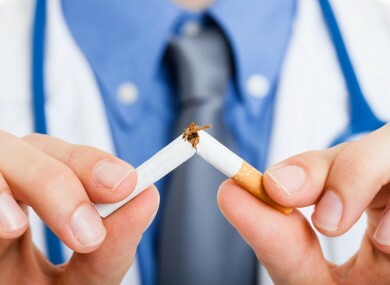 Lung cancer has now overtaken breast cancer as the biggest cause of cancer death in women in Ireland, and has the highest mortality rate of all cancers combined with less than 12 per cent of patients surviving five years after diagnosis. Around €120,000 of the Irish Cancer Society’s total €3.3 million investment in cancer research in 2011 went towards Ms Heavey’s three year PhD project at St James’s Hospital. During the month of January the Irish Cancer Society is encouraging everyone to be aware of the signs and symptoms of lung cancer and, if they are concerned, to contact their GP or call the National Cancer Helpline 1800 200 700. Email “Irish study reveals role of genetic mutations in lung cancer treatment ”. Feedback on “Irish study reveals role of genetic mutations in lung cancer treatment ”.